Craig 'NepentheZ' Douglas will need to pay £91,000 in fines and prosecution costs. A prominent British YouTuber has been fined for running an unlicensed FIFA betting website called FUT Galaxy. Craig Douglas, better known as "NepentheZ" online, pleaded guilty to two charges -- being an officer of an unlicensed gambling company, and another linked to the advertising of unlawful betting. His business partner, Dylan Rigby, admitted to three charges related to the provision of betting facilities and advertising illegal gambling. As BBC News reports, this is the first time a UK court has prosecuted people for running an unlicensed gambling website in connection with a video game. FUT Galaxy allowed players to bet on real-life sporting events, including Premier League and Champions League fixtures, with FIFA's virtual in-game currency. The "social gaming" site had no age restrictions and accepted credit card payments, as the Guardian reports. Winnings could then be transferred back into the game. NepentheZ would promote the service on his channel: "You don't have to be 18 for this, because this is a virtual currency," he said in one video, which was shown as part of the court case in Birmingham. As Eurogamer reported last September, many of these videos have now vanished from the YouTuber's channel. Douglas and Rigby have been fined £16,000 and £24,000 respectively. Alongside these charges are prosecution costs of £75,000 and £150,000 respectively. "In my opinion, both of you were aware of the use of the site by children and the attractiveness of it to children," district judge Jack McGarva said. "At the very least, you both turned a blind eye to it." I also owe a huge apology and debt of gratitude to my loyal supporters. Even if this is the end of our journey together, I'm grateful. EA introduced FIFA Ultimate Team, or FUT, in the 2009 version of the annual sports franchise. It's a fantasy mode that allows football fans to build and compete with a dream squad. Players cost coins, which can be earned in the game by winning matches or selling unwanted stars through the in-game marketplace. Alternatively, you can buy FIFA Points with real cash to unlock randomised player packs, similar to collectible stickers or trading cards. Inevitably, people have tried to game the system through "coin farming," which relies on bots or gambling sites like FUT Galaxy. 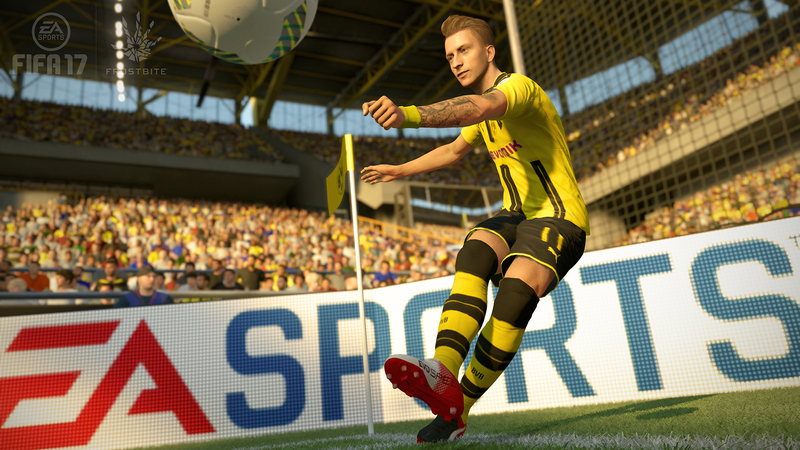 EA has tried to crack down on the practice, but it still persists. FIFA isn't the only video game franchise to face this problem. YouTubers Trevor "TmarTn" Martin and Tom "ProSyndicate" Cassell were caught promoting a Counter-Strike: Global Offensive gambling site last year which, unbeknownst to their viewers, they also owned. (They've since admitted their involvement in apology videos.) CS:GO Lotto allowed players to gamble for lucrative weapon skins, which can be bought elsewhere for real or virtual cash. The pair were sued as part of an amended complaint against Valve last year, but neither YouTube star has been charged to date.